Pressia barely remembers the Detonations or much about life during the Before. In her sleeping cabinet behind the rubble of an old barbershop, where she lives with her grandfather, she thinks about what is lost - how the world went from amusement parks, movie theaters, birthday parties, fathers and mothers... to ash and dust, scars, permanent burns, and fused, damaged bodies. And now, at an age when everyone is required to turn themselves over to the militia to either be trained as a soldier or, if they are too damaged and weak, to be used as live targets, Pressia can no longer pretend to be small. Pressia is on the run. There are those who escaped the apocalypse unmarked. Pures. They are tucked safely inside the Dome that protects their healthy, superior bodies. Yet Partridge, whose father is one of the most influential men in the Dome, feels isolated and lonely. Different. He thinks about loss - maybe just because his family is broken; his father is emotionally distant; his brother killed himself; and his mother never made it inside their shelter. Or maybe it's his claustrophobia: his feeling that this Dome has become a swaddling of intensely rigid order. So when a slipped phrase suggests his mother might still be alive, Partridge risks his life to leave the Dome to find her. When Pressia meets Partridge, their worlds shatter all over again. Unbelievably, a while ago Audio was selling this book on a discount list. I bought it just to keep in my library if I ever found myself short on listening material. 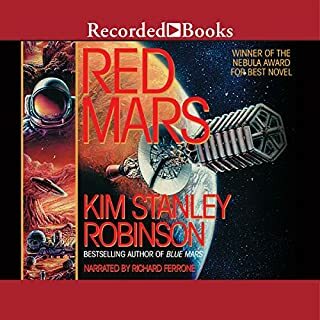 Now that the sequel has come out, “Fuse,” I decided to give the first book a listen, and maybe it was the discounted price but I was pleasantly surprised. Billed as a YA book, to me, it has more of a sci-fi adventure feel, even though it did have some but not the usual overwhelming amount of teenage romance that is usually associated with such genre, as detonated super-bombs containing nanobot technology changes the face of the world. The post-apocalyptic result is a dystopian society separated into two groups: those affected by the bombs, and those who were protected by a dome. I thought the descriptive graphic writing from Julianna Baggott was exceptional, if not a little dark, as she describes in great detail the twisted and deformed bodies of the survivors living outside of the dome. The title “Pure,” refers to the lucky ones living inside of the dome that remain physically pure. 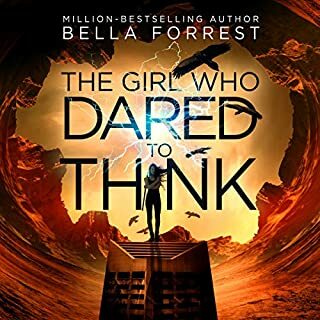 The story follows Pressia, a young teenage girl, as she struggles to survive in this twisted new world, and a young man, Partridge, who is in search of some answers and wants to know how life is beyond the constricted confines of the dome. 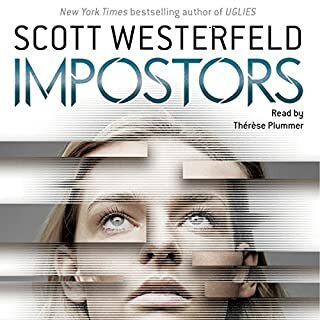 I thought the ensemble of readers gave the narrative depth, but the audio performance might have been as good with one talented narrator. I’m using a credit for the sequel. Don't want to wait for book 2! If you could sum up Pure in three words, what would they be? What other book might you compare Pure to and why? I'll compare it to The Hunger Games & The Running Man. This book managed to set up a similar type of incredibly detailed and "over the top" world like both of those books did, but it did so in a way that kept everything grounded in a very gritty and realistic sense. In other words, with The Hunger Games & The Running Man, the setting is so far "out there" that it was difficult (if not impossible...) for me to forget that I was reading a work of complete fiction. However with Pure, I almost felt as though I had been granted some private glimpse into the future of this world, and then had to remind that myself this was complete fiction. Nope...not that I'm aware of anyways... It was well done... maybe not as good as I expected with there being four of them and all, but it was definitely one of the better narrations I've heard. I'm not quite sure, but I REALLY hope they do make a movie of it!!! So long as they keep the movie every bit as realistic and visceral as the book. This is not one for the faint of heart, especially if you have a good imagination. The imagery is gruesome and disturbing, the circumstances horrid. Personally, I can't really say I enjoyed this book, but that doesn't mean it's not worth a read. It's a little different than the usual YA distopian novels since the catastrophe preceding the events in the book was manufactured and the ensuing events had little to do with saving society at large. There were one or two places where the author went a little too far in my opinion and risked credibility, but the story didn't dwell on these things and the fact that it kept moving keeps the reader engaged. Refreshingly for a YA novel, Baggott did not dwell on romance. Yes, there is some, but it's not the focus of the story. You get the feeling that Baggott wanted to spend more time focusing on what could happen if the wrong people have too much power and much too much knowledge. She does this without becoming preachy which is a huge plus. She's simply telling a story about what might be. Someone else's review mentioned that it was a little heavy on the sci fi side and that's fairly accurate. It's just that other side of the line between fantasy and science fiction since there's a lot of science and medically based plot motivators. All in all, I won't personally be listening to the sequels because the plot didn't grab me enough to override my aversion to the imagery, but that's not to say that it was a bad book, simply that it wasn't really my thing. If you like dystopian YA and have the stomach for it, you might love this book. Narration: All of the characters were well narrated and well matched to the book. PURE was exactly the right book at exactly the right time. I had just come off of a string of heavy, serious books, and I needed a little YA "pallet cleanser" and this was great! Don't get me wrong, "clean" is not a word I would use to describe PURE. In fact, this is one of the grittiest books I have read in this genre. Extremely visual, PURE transports readers to a dystopian world unlike anything I have ever read before. It's dark. It's raw. It's tough. And so is our girl, Pressia. Completely original, with twists and turns readers won't see coming, this is a must-read. A note on the audio production: It was very well done. I was a bit worried that having FOUR narrators was going to be more of a dramatic reproduction, like a radio play, rather than a novel. It was not. Each narrator took on a character's perspective, reading their chapters. The only time this got a little kooky was when Pressia was talking to Bradwell and then Partridge was talking to Bradwell, they each had their own "voice" for Bradwell. (does that make sense?) 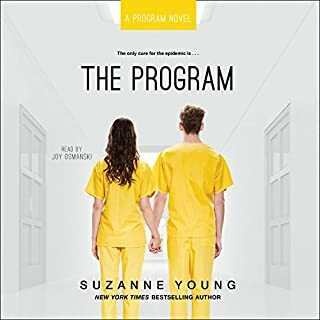 It did not take me long to get used to this, as there is not a huge cast of characters, so the writing kept the character straight for me instead of the narrators. I'm really looking forward to diving into the next book in the trilogy, FUSE. 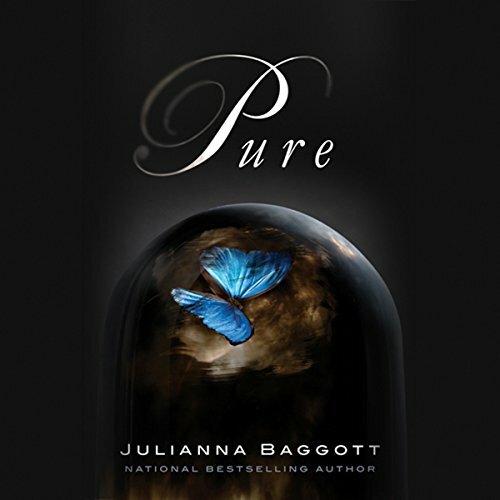 If you're a fan of dystopian YA like The Hunger Games, Ashfall, Legend, Blood Red Road, or Divergent, you must add PURE to your bookshelf. A really neat take on a post-apocalyptic North America. Interesting for teens and adults alike. The author does a great job making you feel for the characters and their 'fusings'. It kept me interested the whole way through and I am looking forward to the sequel! Great story with fantastic narration. Julianna Baggott creates such a strong image of the world in which the story takes place that you are quickly consumed by how easily you can relate to what is happening. 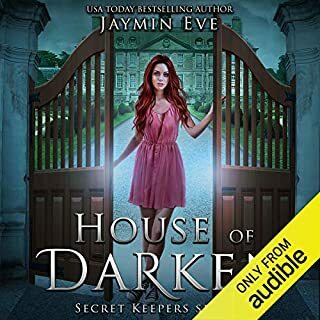 This is the first time I've listen to a book so creatively narrated by several different narrators. It works perfectly to give even more voice to each of the story lines presented. It was a standard dystopian novel like any other but immensely diffrent at the same time. I'm not sure I'd compare it to anything I've read. I liked everything with Lyda. She was sweet and innocent yet very determined and single minded. When she was left outside the dome and she didn't freak out but stayed composed that sealed it for me. It made me think, what if, more than any dystopian future books have ever before. They are normally bad but what happened here is on another whole scale. Still not sure what exactly happened in the explosion. Was it the whole country or world or even just part of the US. How large was the dome really. 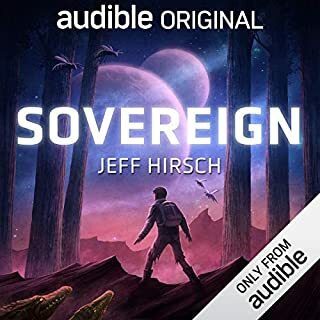 Where does Pure rank among all the audiobooks you’ve listened to so far? The closest one that I can even think of would be Swan's Song. Both are free of zombies in a end-of-world story line. Also, both lead players are the heroines. I have read that book 2 is just a stop-over for book 3. I think I will wait for book 3 to come out before I buy book 2. Overall, the story was not what I expected. It offered a lot of different ideas and story lines. At first I was a bit apprehensive, but it grew on me. Yes, the dystopian storyline was good and I was surprised by the number of different characters. I found myself listen far longer than I expected each time I started. The storyline was full of twists and turns I didn't expect that kept the story intriguing. There are several different narrators, which I enjoy when there are mulitple characters. It added a depth to the narration I enjoyed. I love post apocolyptic type books and this story was no exception. I enjoyed this book and had difficulty putting it down, yet i cannot quite rate it the full 5 stars. The main character was tough and determined, but also believable as she needed time to process and adjust to the changes rapidly coming at her. This story reminded me a bit of the set up for the PS3 video game "Fallout 3" where some of the population was able to hole up in vaults to reside untouched by the toxic world - where others were mutated through roughing it in the outside elements. Fallout is one of my all time favority games and is perhaps what draws me to these types of books in the first place? I was a little suprised to learn that this is part of a series - as the ending is certainly an ending and not a cliff hanger, yet there are some story lines that can be followed up on at a later time. I am not yet sure whether i will continue with this series or not. Overall i would recommend this book, ONLY IF you enjoy post appocolyptic type stories.